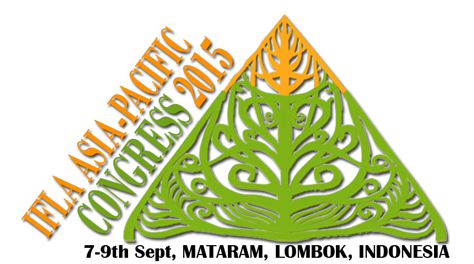 The IFLA APR Congress 2015 International Student Competition to be held in the City of Mataram, Lombok, NTB , is sponsored by the International Federation of Landscape Architects Asia Pacific Region (IFLA APR) and organized by the Indonesian Society of Landscape Architecture (ISLA). The IFLA International Student Landscape Architecture Design Competition is part of the Congress, the event is going to be a promotion for landscape architecture profession through education. productive, etc.). Students are required to come up with planning ideas and innovative design proposals in order to reform the landscape area, redefining and identifying new and old spaces, upgrade the environmental qualities and values, enhance the unique landscape identity and promote sustainability.